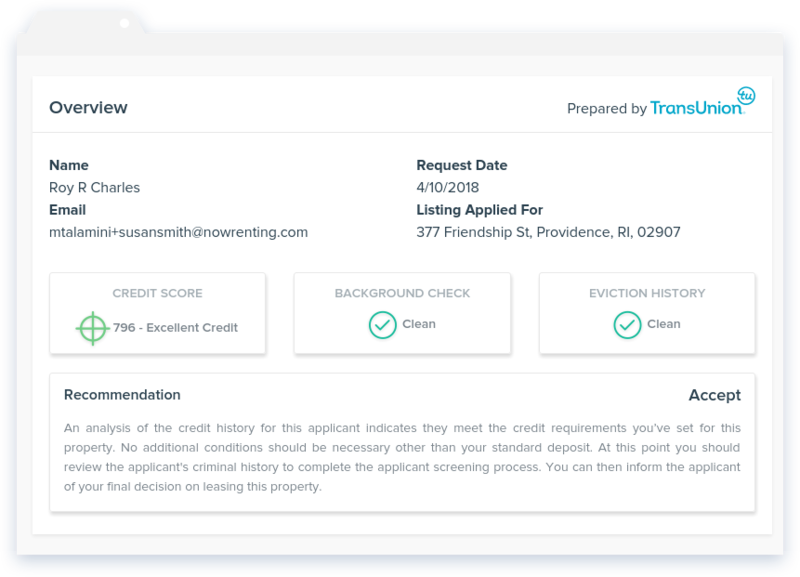 NowRenting offers a tenant background check online via TransUnion, a global leader in risk information. All background reports include a full criminal background check, financial credit report and eviction history report. We charge your lead a small application fee for their online background check, so nothing extra comes out of your pocket. Whether you’re the landlord or a property management professional, we have you covered. All of our online tenant background checks are processed by our industry-leading third-party partner, TransUnion. 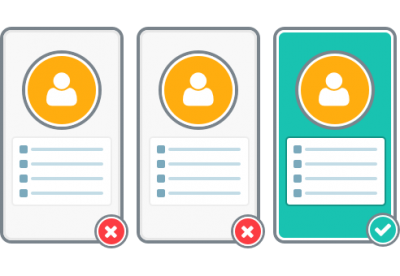 TransUnion uses state-of-the-art security procedures to ensure that the users requesting and consenting to a tenant background check really are who they say they are. 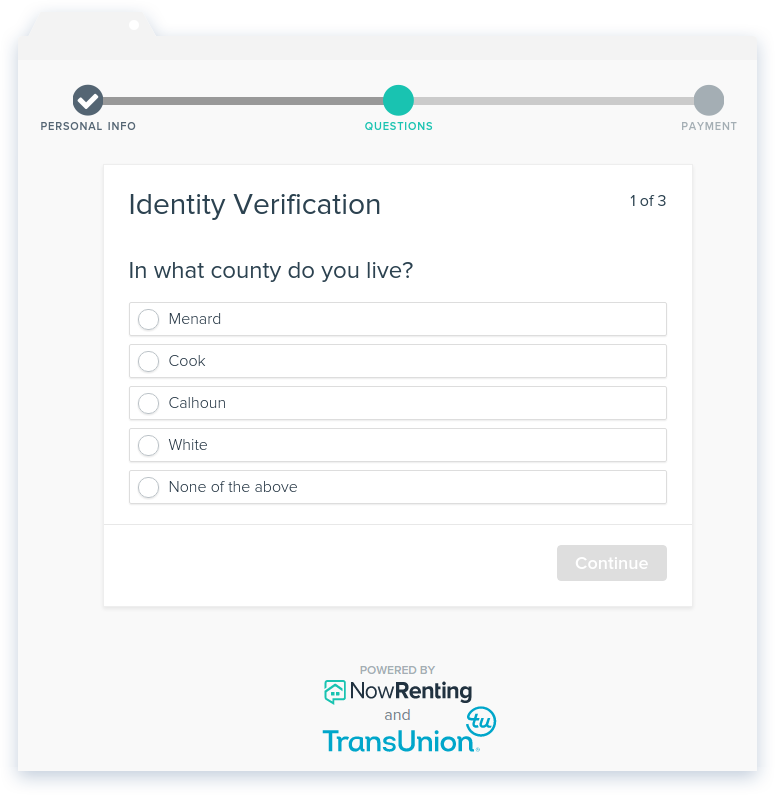 And because all your data is transferred to TransUnion using a secure, encrypted connection and NowRenting keeps no personal identification data, there’s no need to worry about identity theft. That means no paper forms, no tedious record-keeping and no liability. TransUnion’s tenant background checks are comprehensive, accurate and safe. They include a credit report, eviction history and criminal history check that covers all 50 states. If a prospective tenant has a history indicating that they might represent a risk, you’ll know it. 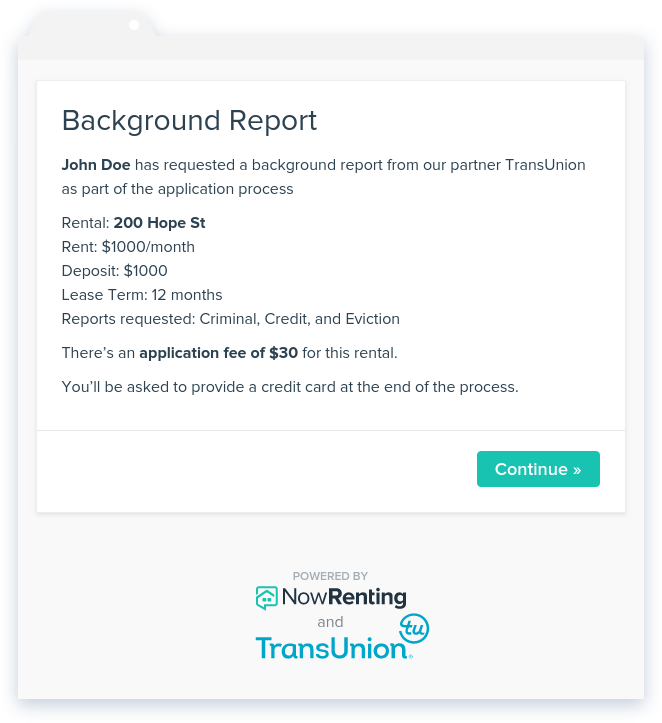 NowRenting gives landlords access to background checks through TransUnion at no additional charge—the fee for the background check can be passed on to the applicant. Application fees to cover administrative costs are a standard business practice: NowRenting allows landlords to increase the amount prospective tenants are charged for a background check and keep the difference. Quickly find high-quality tenants with our online background check tool. Fill your properties with qualified tenants who are the best fit—by your standards.